The 32nd Annual Emeryville Art Exhibition celebrtaes its month-long celebration of the arts on the gala opening day of the exhibition. There will be a gala public reception with the artists in attendance on Friday, October 5, from 6 pm to 9 pm, with live music by The doRiaN Mode: Vintage Jazz & Blues. A no-host bar will raise funds for the Emeryville Youth Art Program. 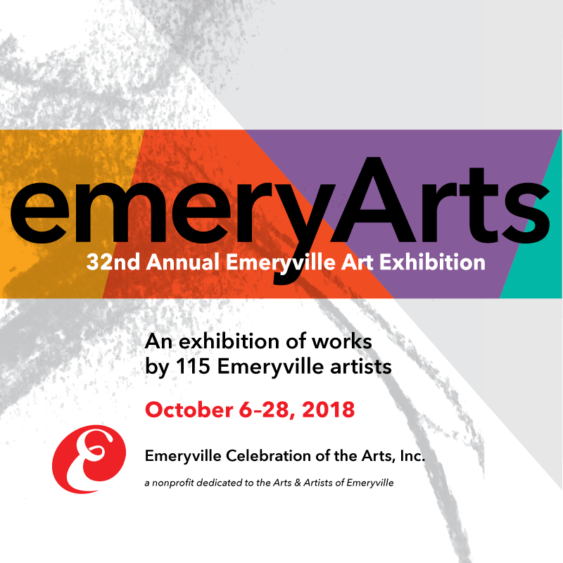 The Emeryville Art Exhibition celebrates the work of Emeryville artists and includes paintings, sculpture, photographs, prints, textiles, ceramics, glass works and poetry. The sheer number and array of artists living or working in Emeryville illustrates the city’s cultural vibrancy and provides an impressive creative pool that continues to create new and exciting works. The 2018 exhibition features 165 works from 115 artists, representing the largest group show in its 32-year history. 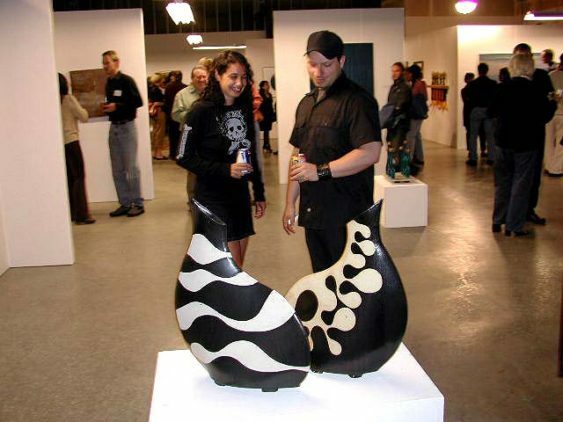 First held in 1987, the Emeryville Annual Art Exhibition was initially conceived as an event to recognize the City’s active and visionary partnership with the Emeryville Artists’ Cooperative. Through the Redevelopment Agency’s participation in the purchase of the Cooperative’s warehouse, the City played a major role in stabilizing the live/work environment so vital to its creative community. While the concept of the Exhibition began as a celebration of this partnership, it quickly expanded to embrace the entire artist population of Emeryville.